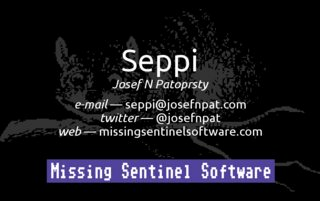 I admit it, I've been slacking, but recent events have shown to me that I need to make sure that Missing Sentinel Software stays up to date on its website. Keep in mind, I'm very active in game dev communities. 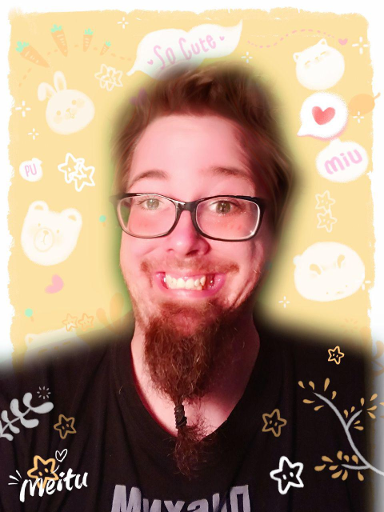 Between interacting with the LÖVE community, the Ludum Dare community, my local Game Dev support group, Rochester Indies Anonymous, and bleating on twitter, I do keep myself very active on the internet. Currently when I post information about my games, they heavily depend on the context, which is usually for game developers. I plan on fixing this by creating blog posts that can stand on their own for both folks who are interested in game development and those who are only interested in the games. Keeping everyone up to date on what I'm doing in the future. There are two big projects currently in the pipeline here at Missing Sentinel Software, and the one that's currently getting most of my attention is Defense of Your Craft (DOYC). 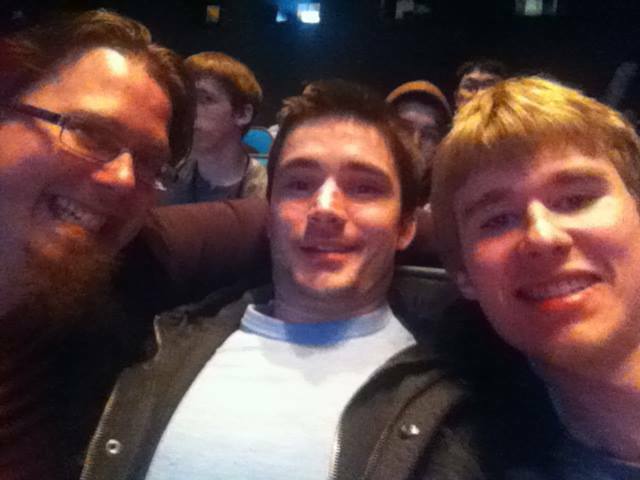 Last weekend I went to my first game developer festival, IndieCade East. Myself, Wes Paugh and Kevin Drew, respectively. Business cards: everyone's doing it, and I was smart enough to pull some together at the last second. Don't be afraid to hand out your business cards. Everyone's looking to make contacts, not just you. Make it easy for them so you don't have to end up writing your website down on their arm. Have something to show, and don't be afraid to show it. Even if it's something pulled together in a few days. If you bring friends, know what games they have, and pimp them (the games!). Not only do you get some great cross pollination, but having someone else talk about them will give folks a better outside perspective. Kevin shamelessly was pimping Defense of Your Craft and I felt like an utter moron not being able to return the favor. Get some space. Get a table, some presentation space for an hour or so, or a laptop with a big screen and a good battery. Showing off your game is a good way to get some attention for your project. In the end, I had a great time. Indie Cade East has shown me that I really need to step up my game when it comes to communication, and I've been really failing hard when that comes to development the blog. While I don't want to post blog posts of low quality, I do want to keep folks up to date with what's happening. With all this, I need to have a publicly facing portal for the games I have in development. Gnuplot Universe Generation - Generating universes and presenting them with Gnuplot. Vapor - LÖVE Distribution Client. LD27 - Defense of Your Craft (The Jam Version). 0H Game Jam - a game made in 0 Hours for the Dingoo. LD28 - Bitmo Pirates, the MMO made in 48 hours. DOYC REMIX/HD, the current game in development stemming off the jam version. Lokken - A menu system for DOYC. Dong2 - A controller abstraction system for multiple controllers over multiple platforms for DOYC. PratCam library - re-implementing the classic system in LÖVE with more for DOYC. Love 0.9.0, Android & OUYA - Porting DOYC other devices. EVE: Valkyrie - Experiencing the Occulus Rift beyond a youtube video.